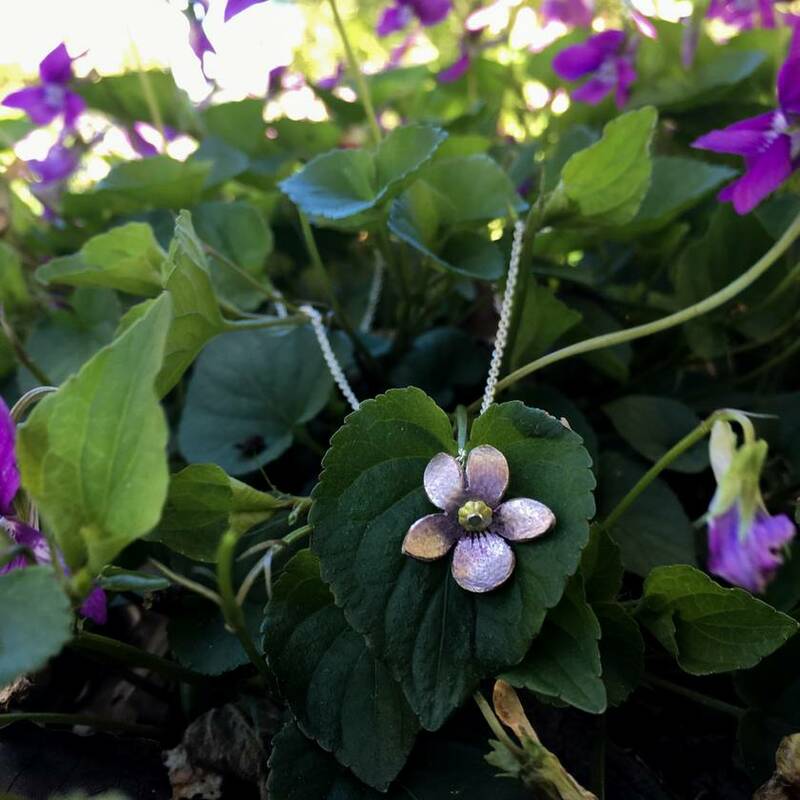 The sweet violet is traditionally the real flower for Valentines Day. Saint Valentine was a Roman priest. He was executed for marrying Christians. When he was in prison, he wrote a letter to his lover with ink from the violets growing outside his cell. Violets are the February birthflower. 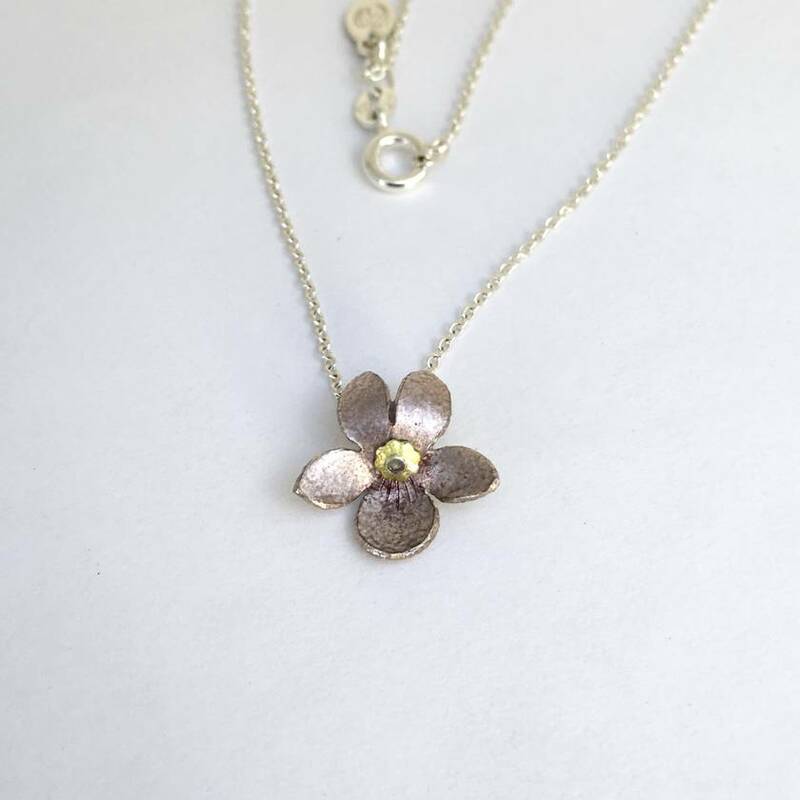 Each enamelled violet flower measures approximately 15mm high and 13mm wide. Every flower is shaped and enamelled by hand with care and attention to detail. Made with fine silver covered in glass enamel. This pendant comes with an 18 inch sterling silver chain.